Do you have vacancies you are looking to fill? To work within an established NPD team and assist the Customer Innovation Manager in all aspects of product and process development from concept to launch. Selection of raw materials and other ingredients from suppliers in conjunction with Group purchasing. Development of good working relationships with all departments of the business, including Sales, Technical, Production, Logistics, Purchasing and Engineering. Any other duties, within reason and capability, as determined by the Customer Innovation Manager. At least 3 years’ experience in a similar NPD role within the food sector, ideally within the dairy industry. A relevant Diploma or Degree in a food related subject. Computer literate, have strong written, numeracy and problem-solving skills and excellent attention to detail. Good interpersonal and communication skills and be able to work with all levels of management. Level 3 Hygiene, HACCP training and experience with BRC would be an advantage. Applicants must have a full driving license. Our Cow Molly is looking for a new member of staff to join our existing team in the milk processing dairy. Applicant needs to be confident, able to work well with others and capable of multitasking. We are a dairy farm that have been selling milk since 1947 and started processing in 1983. In 2015 we built a new dairy due to increase in sales. We went from 500L/Hr to 2000L/Hr. We have increased from 8500 Litres per week to over 20,000 Litres per week. Manager, Operating a pasteuriser, separator, homogeniser, butter churn, and fillers. Full training will be given but a good understanding of machinery, electrics and food hygiene is an advantage. Managing a team of 5 to ensure product is of a high standard. Wages to reflect experience, qualifications and attitude towards job. The dairy is running 3 times a week but are working on increasing to 4 times.Until this time there is the option of increasing your hours through doorstep milk delivery. The milk round runs on Tuesday, Thursday and Saturday mornings so would fit around the dairy hours. Applicant must be capable of follow a delivery sheet and using good judgement. Applicants need to have excellent time keeping and a working attitude. The NPD function within ABP ensures that our products are on trend, profitable and food safe meeting with our customers’ policies and consumer need states. We lead the industry with our NPD programmes providing the commercial teams with the best possible platform to develop business with a wide range of customers. Our degree apprenticeship programme will teach you how to develop and deliver NPD projects for our customer base whilst maintaining the link between site, new product and process development and at all times, ensuring products meet both the customer and companies expectations. If you have aspired to going to University but for whatever reason you cannot commit to F/T study this may the way for you! Ensure the ABP NPD process is adhered to at all times. Keep up to date to market information and product changes in the market, reviewing information and reports often originated by other functions. Utilise market information, competitor products, food trends and our own ingredient supply base to develop product and packaging. Generation of recipes for the costing process. Supporting product feasibilities and documenting feedback/actions. Creating food for onsite and offsite visits. Ensuring the development facility is fully equipped and ready for use at any time. Conduct benchmarking panels and communicate results internally and externally. Support and attend development trials and pre-productions as required. Testing and analysis of new ingredients and their adherence to specification. Reporting findings internally and externally. Support the creation of recipes and processes for the Innova Recipe Management System. Arrangement of samples to be transported to customers and external bodies. Attention to detail and a passion for food is necessary in order to thrive within the NPD team. A REAL foodie! You will be supporting with the transition of products from New Product Development into production. This will involve supporting the NPD function with the customer requirements. In some circumstances, you will support with projects from concept to production, including sensory evaluation of ingredients, continuous improvement and the training of employees. You will support the team with the running and maintenance of the pilot plant and its transition to the factory. You will support the pilot plant team by carrying out pilot and process trials. You will be trained in understanding the process, ingredients and the end product to enable review of product in end application. At the end of the programme, you will successfully achieve a level 3 Food Technologist qualification. We are a major college facility in Cheshire providing Research and Development to students at the college, and food manufacturing businesses. The Food Processing halls have Dairy, Bakery and Butchery areas; they operate at industry standards and are BRC approved. This is an exciting opportunity to join the Industry Training team at the Reaseheath Food Centre. An experienced Industry trainer is required to deliver food skills predominantly within the workplace and occasionally at the college. The ideal candidate should be a highly motivated individual with a comprehensive and up to date working knowledge of the food industry, applied through relevant work experience over time. Experienced in various sectors of the food industry, with specialism in confectionery desirable. Also desirable is a track record working in a blended learning environment. You will be capable of delivering subjects around Food Science, Processing techniques and Food Safety and Quality parameters. An excellent approach to customer care and client relationship building is essential. Proven interpersonal and people management skills are paramount. The Devonshire Bakery is a family run business who still uses traditional methods of baking. We have three shops and supply an array of local businesses with our products. We are looking for a baker to join our team. Working Hours: Tues – Sat, 3.30am – approx 10am . To keep all machinery and services in a maintained and serviceable condition to maximise the productivity of the company. The maintenance and improvement of all equipment and facilities at St Helens Farm, Seaton Ross site. The summary given below is not an exhaustive list of duties and tasks. The incumbent may be asked to perform other duties and tasks not detailed here but could be described as being within the scope of the role and capability of the individual. To comply with and help maintain health and safety standards within the Engineering and Production Departments. To assist with Risk assessments. To carry out Breakdown Repairs, planned maintenance and one-off improvements / modifications to equipment, Services and Buildings. To record all work on equipment for entry into the Planned Preventative Maintenance (PPM) system. To ensure parts are ordered when needed or to replace parts used from stock. Maintenance and repair of equipment in a timely and efficient basis. Support and contribute to the Production team to ensure daily production targets are met. Work as a team player within the Production department providing a customer service-based relationship with all members of the production team. Attend and contribute to any meetings, Training Courses etc to aid development and maintain a continuous improvement philosophy. We offer competitive rates of pay and a benefits package. The role does involve working alternate weekends as we produce 7 days a week to ensure the freshest possible product for our loyal consumers. Compliance with Electricity at Works Act. Maintain electrical systems in compliance with relevant legislation in force at any time commensurate with training complete. Ensure all Electrical Drawings, documentation and Test Certificates are kept up to date with assistance from Engineering Manager. John Morley’s is a leading supplier to bakers, breakfast cereal and food manufacturers, providing a wide range of ingredients selected from over 20 countries around the world by our experienced team of experts. We supply premium quality basic ingredients, including dried fruit, nuts and seeds, fruit fillings and mincemeat. Our UK based factory produces mueslis, breakfast cereal pre-mixes, mincemeat, fruit prep and a range of products based on our experience in dried fruit, nuts and seeds. Park Cakes is a c£160million business which supplies cakes and desserts to service the own brands of major retailers, there are two sites both based in the North West at Oldham and Bolton. Our products include, high end celebration cake products, slab cakes and mainstream desserts, we mostly supply Marks & Spencer’s although we also supply major retailers including Sainsbury’s, Tesco’s Co-op and Aldi and Morrisons. 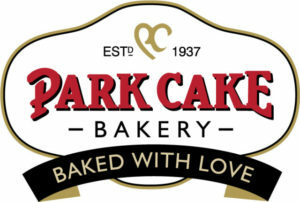 Park Cakes is a profitable business with a clear commercial strategy and a strong relationship with its customers and suppliers through its energy, style and commitment to partner relationships and quality. We currently have a vacancy for student either studying Food Science who would like to be engaged with a 12 month undergraduate placement, or alternatively a graduate in Food Science to join our Technical team. The start date is flexible and can be accommodated against candidate’s needs, ideally this would be between July and September 2018. This role involves working both on site at Oldham and visiting suppliers, so applicants should have their own transport and a full driving license. To assist the Technical Department in the implementation of the BRC Food Safety Standard and assist the site Quality Manager in the day to day requirements of the Quality Management System (QMS) ensuring the products entering the market place are safe, legal and manufactured to standards that meet or exceed all agreed internal and external specifications. All activities are to be carried out within the policies and procedures of the Group, as set out in the Employee Handbook. To routinely check conformity of Production paperwork. Undertake weekly GMP audits, calibration, volumetric checks, taste panel, temperature checks and material date checks. LOCATION – This position is based at Beechdean North, Tattenhall, Chester. 40 Hours per week, 08:30 to 17:00, Monday to Friday, with 30 minutes unpaid lunch break each day. 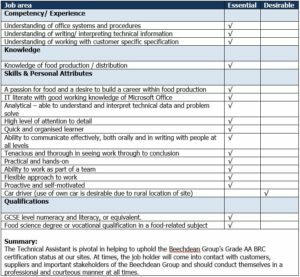 The Beechdean Ice Cream Group is a growing organisation and seeks to develop the job holder’s skills in a way that benefits both the job holder and the company wherever possible. Long Clawson Dairy Ltd is a world-renowned producer of Specialty cheeses situated in the Vale of Belvoir, in rural Leicestershire. Spread over two sites, the company is a fast growing, award winning manufacture of Stilton and Specialty cheeses, priding itself on successfully balancing innovation with tradition. Due to this continued growth we are looking to recruit a Food Technologist (Dairy). The new incumbent will be responsible for the improvement of Company knowledge of the manufacture of Stilton Cheese through the Investigation and development of new and current processes and technologies. You will have the ability to apply the principles of Cheese microbiology, Dairy Chemistry, Physics and Food Engineering through experience gained operationally to ensure the production of a consistently high-quality cheese. You will be required to identify, assess and implement beneficial emerging technologies for the industry throughout the Company. Ensure that the current cheese making process is mapped utilising current knowledge within the business. Identify knowledge gaps and set up research/ projects to fill those gaps, developing and nurturing an ethos of continuous improvement. Ensure Health & Safety procedures, Quality/Hygiene standards and Company Rules/Procedures are always adhered to. Degree qualified within a Dairy or Food Science discipline. In return we offer a competitive basic salary and an opportunity to build a career with a successful local company with a UK and Global customer base. Are you an experienced field sales professional in a business to business environment? Would you like to work for a global leader in water, hygiene and energy technologies and services that protect people and vital resources? We are seeking highly motivated applicants to join Ecolab’s Food and Beverage division. This is an opportunity to work for an organisation that has been described as one of Selling Powers top 50 “to sell for” as well as one of Forbes Magazine’s most innovative global businesses. Due to continuing business success and growth we now have a fantastic opportunity available for a Territory Account Manager to join our team covering the North West Territory. Company Car for business and personal use. The opportunity to carve out a long term, advanced career path within Ecolab. Implements an annual Sales and Service Plan based on a Retain, Grow & Gain Strategy to ensure net sales growth targets by delivering Ecolab’s service excellence programs. Builds strong relationships with customers, identifies and influences stakeholders and decision makers. Develops and maintains prospect list and convert through stages of sales pipeline to deliver new business gains against targets. Development and negotiation of commercial proposals including response to formal tenders. Delivery of Technical Service Requirements including scheduled Service Visits, Trials, Customer Training, and Audits etc. Development and execution of implementation plans to successfully onboard new business. General Account Management activities such as regular customer review meetings reporting, forecasting, receivables management, account planning etc. Reports results of customer contacts and planned activities to supervisor on regular basis. CIP (Clean in Place) process knowledge and experience is essential. Experience in a food and beverage production or food hygiene role. Exceptional communication & organisational skills. If you are looking for your next challenge as a Territory Account Manager then we want to hear from you, please click APPLY! Exciting opportunity to join the Operations team of a recently acquired, fast growing dairy business operating within the foodservice sector (eating “Out of Home”). This role will provide excellent career and personal development opportunities, and the successful candidate will gain a strong exposure to post acquisition integration. To undertake training and development to become a Cheese Grader. To provide support to our current Product & Process Manager to grade and allocate cheese. Allocate orders with the cheese available but at the same time optimising price / best return without affecting finished product quality. Check product on in-take and any associated grading-related activity required at this point. Liaison with Warehouse team to establish inventory and product requirements. Allocate stock in a timely manner to ensure that Production can plan efficiently. Assess suitability of product for optimisation. Control stocks by allocating/prioritising available cheese. Work with account managers to suggest products to be used for samples thereby optimising potential to win business. Attend weekly stock meeting to establish future product requirements. Building customer relationships – communicating/telephone manner. Work in conjunction with the Warehouse team for stock requirements. Call-off product in conjunction with third party Warehouse and internal/external Transport. Any other ad-hoc duties within your remit. Minimum of 1 year experience in a food manufacturing environment. Willingness to learn and develop new skills – full training will be provided for this role. Competent in the use of PC and Microsoft Office programmes. A working, in-depth knowledge of cheese. Previous experience of using an ERP system. Closing date: Open until the vacancy is filled. We are currently recruiting for hardworking and reliable Dairy Operatives who are able to work on a rota system due to the increase in production. The environment is physically demanding and fast paced; you will need to be able to work on busy production lines for a full shift however, full and comprehensive training will be provided. This is an ideal role for people looking for job security and career progression in an ever growing company within a fast paced food production environment. To operate various filling machines producing units of packed milk or cream. When necessary, pack finished products on the end of the line ready to send through to distribution. To ensure a high standard of quality is maintained throughout the production process, including making sure all poly bottles are packed in a good condition and all faulty products are removed. To assist with the cleaning of all equipment and the work environment to maintain the highest standards of hygiene. To be hands on in setting up and preparing machinery in accordance with company procedures. To ensure team leaders and supervisors are made aware of any problems or errors and that appropriate action is taken immediately. To ensure that work activities are carried out in a safe manner protecting both your own and your colleague’s health and safety. To report to a team leader or supervisor before leaving work at the end of your shift. To work in a flexible and organised manner and be prepared to complete any other duties as reasonably requested by your team leader or supervisor. Ability to work flexibility on varying shift patterns and work to tight deadlines. A strong communicator able to work well in a team. Knowledge of food production and food hygiene and associated procedures. Knowledge of HACCP and technical awareness. Hours: Full time, permanent position working an average of 48 hours per week, 5 days over 7. You are required to work flexibly to meet the needs of the business. Established in 1938, Cotteswold Dairy is one of the UK’s leading independent, family-owned dairies. 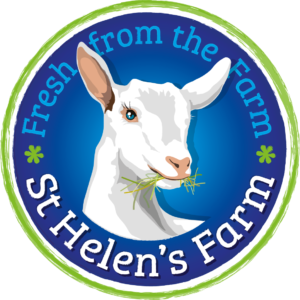 We support local farmers and communities by delivering the freshest, finest quality products and first class customer service. Due to the company’s family values and business ethos, we were delighted to be announced as the Family Business of the Year at the Food and Farming Business Awards 2015 at the House of Commons. Deputise for the dairy manager in their absence. Assist management to implement training strategies. Provide on the job, theory and practical training to Production Operatives. Update and maintain training records, manuals and procedures and complete risk assessments. Set up and deliver the Continuous Improvement Programme. Present verbal and written periodic reports to management. Support the whole of the dairy function across all departments in Continuous Improvement and Training strategies. Work flexibly with the changing needs of the dairy. Any other reasonable task set by the dairy manager or semi management. The ability to problem solve with a can do attitude. Possess an eye for detail and able to identify areas for improvement. Experience of Continuous Improvement techniques. Ideally HACCP and Food Safety trained. If you believe you fulfil the above criteria, please complete an application form (available at www.cotteswold-dairy.co.uk), and write a covering letter, detailing why you believe you are the best candidate for the role. Post your application to Hemu Wala – HR Assistant, Cotteswold Dairy Ltd, Dairy Way, Northway Lane, Tewkesbury, Glos. GL20 8JE. Alternatively, email it to hr@cotteswold-dairy.co.uk. Hours: A minimum of 48 hours per week, working on a shift rota. We are committed to training and giving you the skills and abilities to carry out your role, providing progression and opportunities, allowing you to build a long term relationship with the Company. Working in a flexible way to ensure cover during breaks, holidays and sickness, whilst being totally responsive to the needs of the Dairy. Knowledge of HACCP, BRC and Continuous Improvement techniques. If you believe you fulfil the above criteria, please complete an application form (available at www.cotteswold-dairy.co.uk) and send it, together with a covering letter, to the address below, detailing why you believe you are the best candidate for the role.